The world is hurtling towards an epoch where all undergraduates are required to be equipped with skills and knowledge to face a future full of challenges. We, a group of enthusiastic and dynamic students vow to realize the importance of knowledge in manufacturing and electronic technology through creativity. 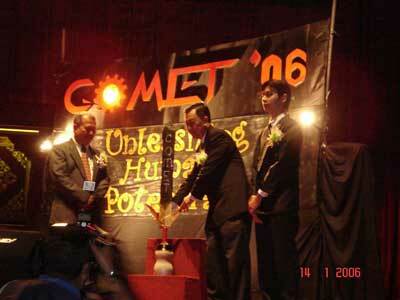 The result, a specially designed conference, Conference On Manufacturing & Electronic Technology (COMET). 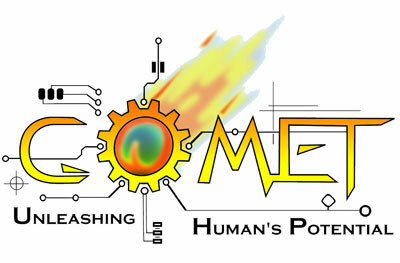 COMET is a national level conference, involving 300 people comprising of students, lecturers, corporate figures and industry practitioners from all over the country. The conference's main objective - education, will provide opportunities for every parties to gain organizing and participating in major events such as the COMET. Through COMET, we strive to achieve academic excellence of international standards by providing a chance for our students to be innovative and creative in the field of manufacturing and electronic technology. 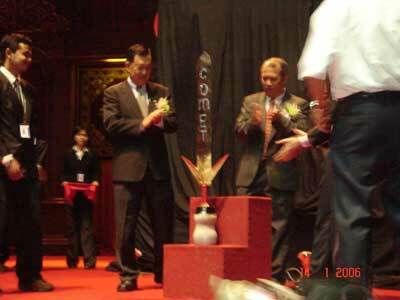 COMET is based on thesis presentation from final year students and presentation from prominent figures in the manufacturing and electronic industry, thus benefiting all stakeholders. 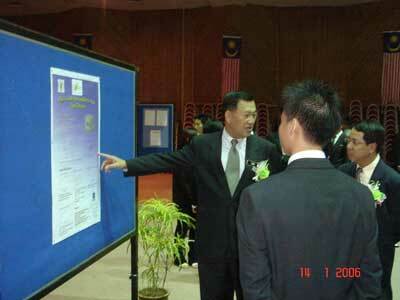 (Thesis is also commonly known as Final Year Project - FYP). This conference also serves as a platform whereby all participants, including academicians and industrial figures exchange ideas and knowledge. 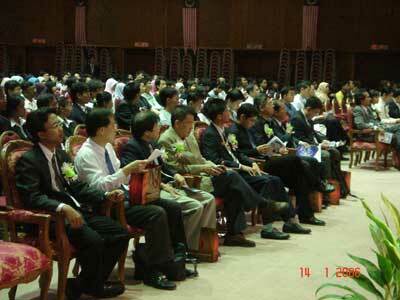 Conference such as this would be worth the effort and time invested, as it will benefit all. By launching COMET, we hope that we can increase the relevance of the university and its graduates to the society and the manufacturing field by sharing top-notch knowledge and technology to propel our country towards greater heights. Inline with the aspirations of the country, we hope that through COMET we can help shape graduates of today to be broad-minded and to be able to compete with the rest of the world. 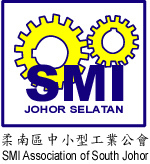 1) To act as a platform for an exchange of ideas in the field of manufacturing and electronic technology. 2) To create an opportunity in identifying future prospects in the manufacturing and electronic fields. 3) To cultivate interaction between undergraduates in manufacturing and electronic fields with corporate professionals. 4) Create networking opportunity among corporate leaders and professionals. 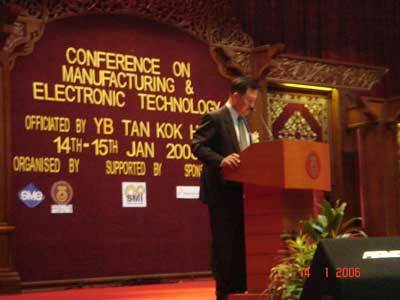 5) To present the latest technology in manufacturing and electronic industry by experienced keynote speakers. 6) Present papers based on thesis in the manufacturing and electronic field. 7) Enable undergraduates to get exposed to major engineering related conferences and thus gaining experience from it. 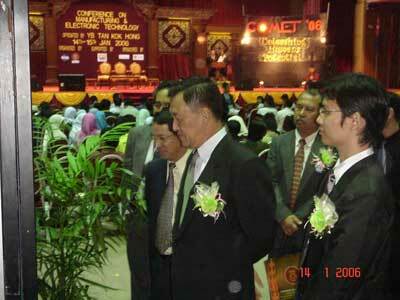 8) To introduce the latest technology and development in manufacturing and electronic field to all the undergraduates. 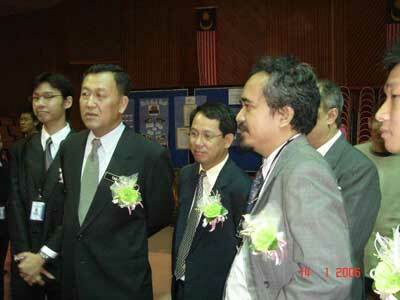 9) Promote interaction among participants. 10) Publish papers in proceedings. 11) To provide undergraduates (participants and organizing committees) experiences through organizing and participating in major conferences.